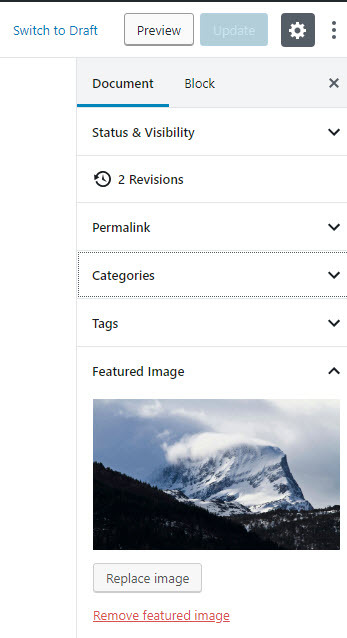 If your WordPress theme support Post Thumbnails ( like the Customizr theme does ), the "Featured Image" metabox will be visible on the on the Edit Post and Edit Page screens. If you don't see the featured-image meta box in the editor for pages, be sure to check the Featured Image checkbox in the Screen Options dropdown (top right tab in the editor when on a new/edit page/post screen). After clicking the "Set featured image" link, follow the same steps as inserting images in Posts and Pages. Once you have selected the featured image and determined the image settings, click on "Set featured image" button, to set it as the featured image for your page or post.